4 Nurses at Work are compassionate, caring and committed to providing superior nursing services with respect and compassion that honors the dignity of our patients. 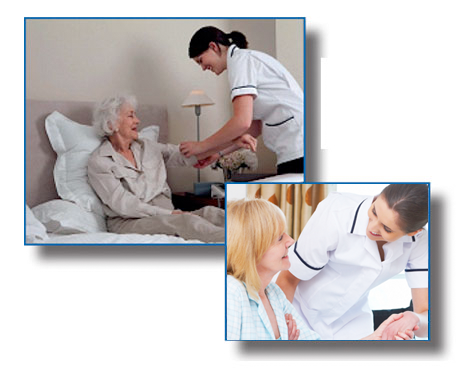 Our clients benefit from one complementary visit to assess their needs. Our rates are very competitive and our excellent references are local. Our Registry refers qualified professional to meet your needs. English, Spanish, and French Speaking Caregivers. Site designed by MBD Studios Inc.